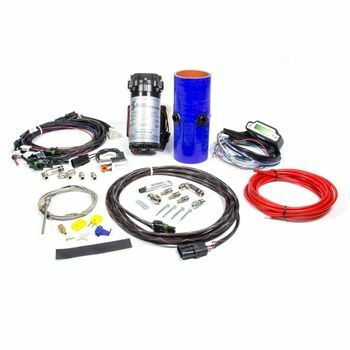 MPG MAX Boost Cooler Kit - (520)Snow Performance is the only system proven to increase fuel economy in all load states – empty or while towing. Special mapping and the most sophisticated 2d digital controller available result in 1-3 MPG increases! The MPG-MAX™ system does not require a sustained high load state in order to provide maximum fuel economy gains. The MPG-MAX™ system uses a new injection management controller that allows for a small, steady spray of water/methanol to be injected across the entire power curve, at anything over normal cruising boost. This provides an increase in combustion efficiency which provides more power without injecting more diesel fuel. This increase in efficiency translates into an increase in fuel economy. Typical fuel economy increases are 10%-15% or 1-3 MPG. 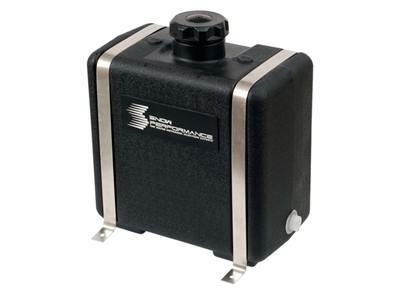 The MPG-MAX™ system has a secondary output that is used to activate a Power Mode. The more sophisticated microprocessor introduces a independently mapped second stage of injection. 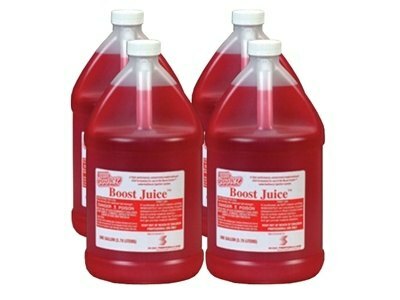 A larger nozzle is used to inject more fluid to make more power. The Power Mode activation point is adjustable for best performance. The net effect is smooth power in all engine load states with no combustion quench resulting in a true turn-on-and-forget system. It also now has a brighter Green LCD screen that displays boost, EGTs, and injection pump output. KIT DOES NOT INCLUDE RESERVOIR! WE HIGHLY RECOMMEND THE SNOW PERFORMANCE 7 GALLON RESERVOIR, OR LARGER! Snow Performance is the only system proven to increase fuel economy in all load states – empty or while towing. Special mapping and the most sophisticated 2d digital controller available result in 1-3 MPG increases! The MPG-MAX™ system does not require a sustained high load state in order to provide maximum fuel economy gains. The MPG-MAX™ system uses a new injection management controller that allows for a small, steady spray of water/methanol to be injected across the entire power curve, at anything over normal cruising boost. This provides an increase in combustion efficiency which provides more power without injecting more diesel fuel. This increase in efficiency translates into an increase in fuel economy. Typical fuel economy increases are 10%-15% or 1-3 MPG.